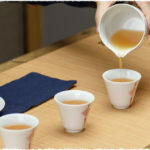 Using small tea cup to sip tea, especially cups with the capacity between 25ml to 50ml, is to enjoy the tea. TeaVivre has had a Double-wall Glass Tea Cup of 50ml’s volume revealed not long ago. Now a new small glass tea cup with handle is introduced to you – Clear Glass Lovely Tea Cup, which also has a capacity of 50ml. Cups with large-volume, like 100ml or more, can bring you a stronger experience of drinking the tea. Moreover they are more time-saving. The large-volume cup is now available on TeaVivre – Manually Blow-molded Glass Infuser Tea Cup. 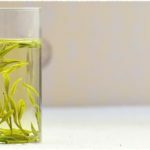 The Manually Blow-molded Glass Infuser Tea Cup has the maximum capacity of 500ml. The one-piece design makes it suitable for both working and relaxing. Have you wondered that how much water you should use for a brew? Was the water you used equal to the right amount? Now we have a brand-new Glass Volumetric Tea Carafe online on TeaVivre. This carafe is capable for 800ml. Its body is printed with precise scale of capacity, which can provide you reference for exact amount of the water to use. The carafe has four digital printed: 200ml, 400ml, 600ml and 700ml. You can use the carafe to cool hot water. 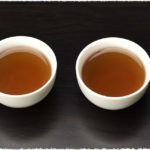 Such as green tea, white tea, or high grade black tea, they need to be brewed with water of temperature lower than 100℃. You can cool the water in the carafe before brewing the tea.